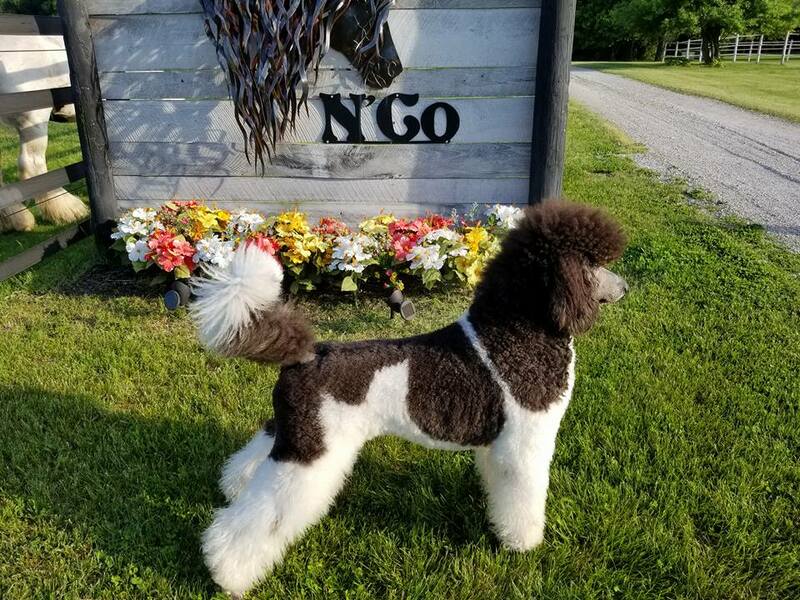 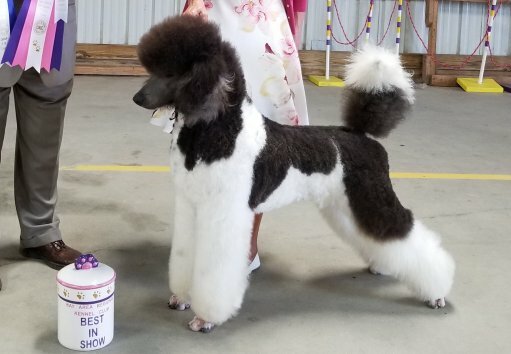 Quicky has surpassed all our dreams for a show dog and companion. 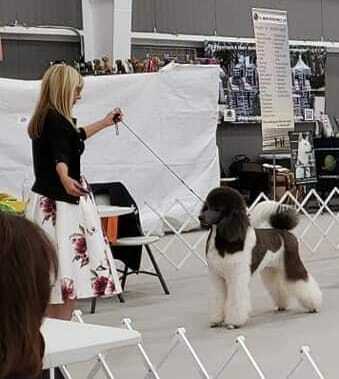 His first time in the show ring at 9 mo of age he was awarded a Reserve Best In Show. 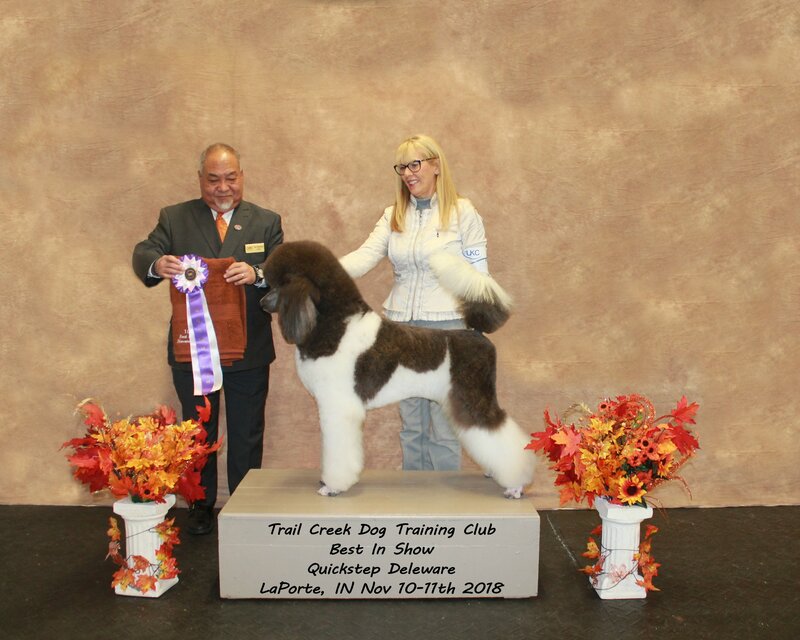 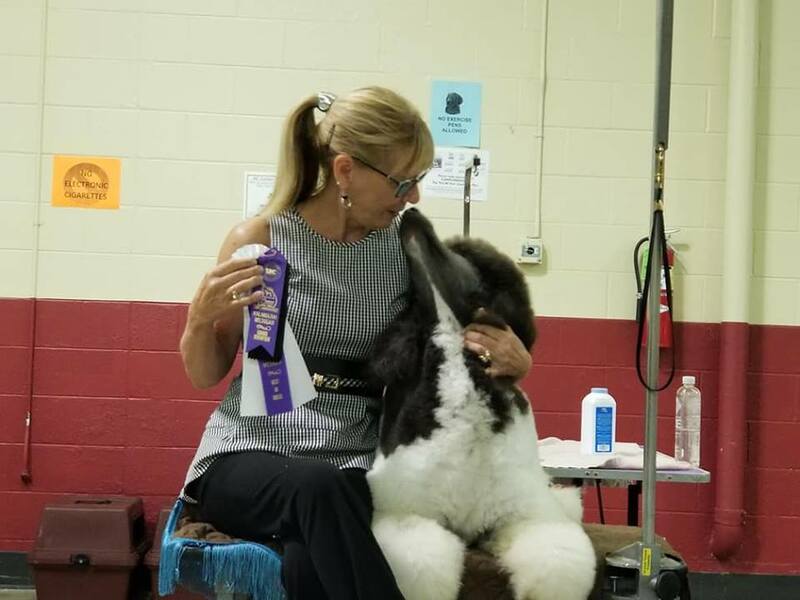 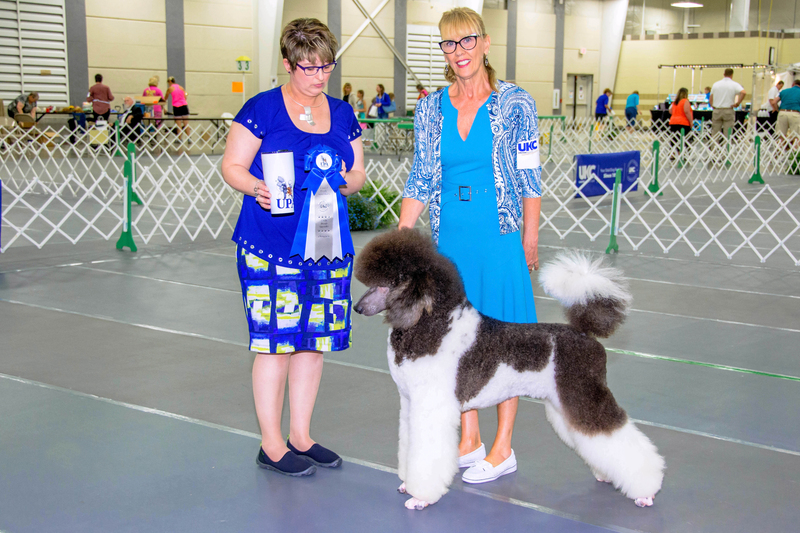 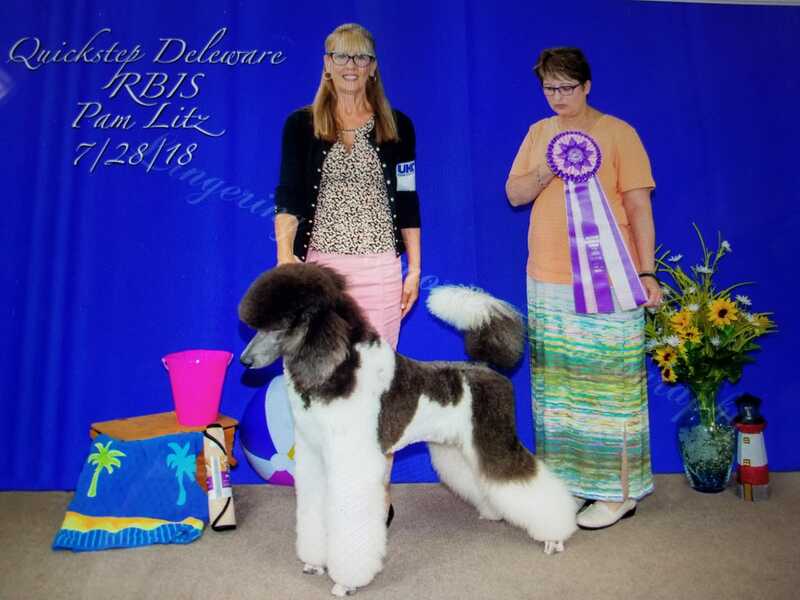 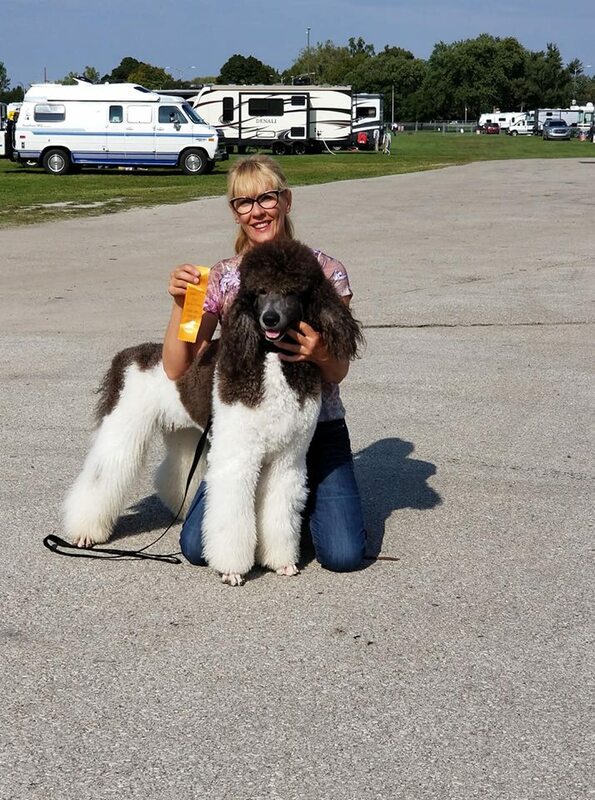 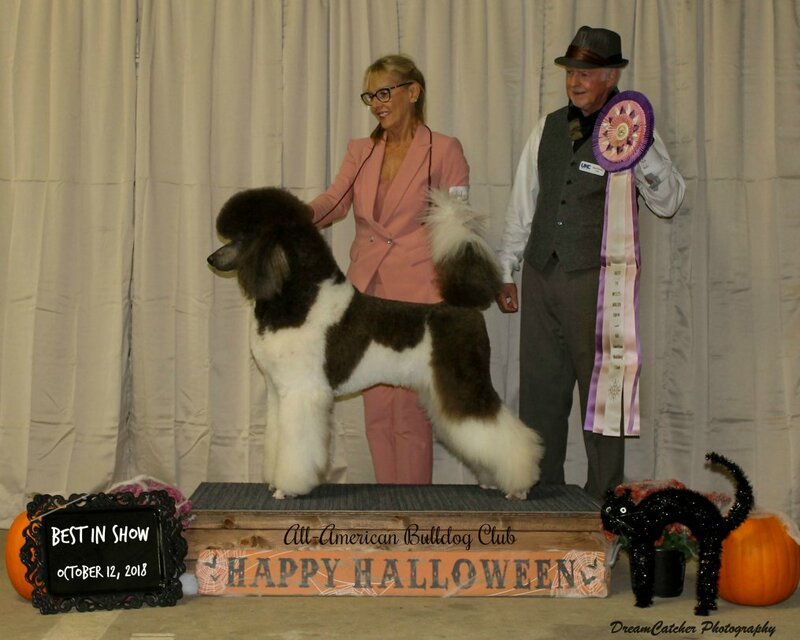 Then onto winning the Champion class at the Poodle Specialty at The Premier. 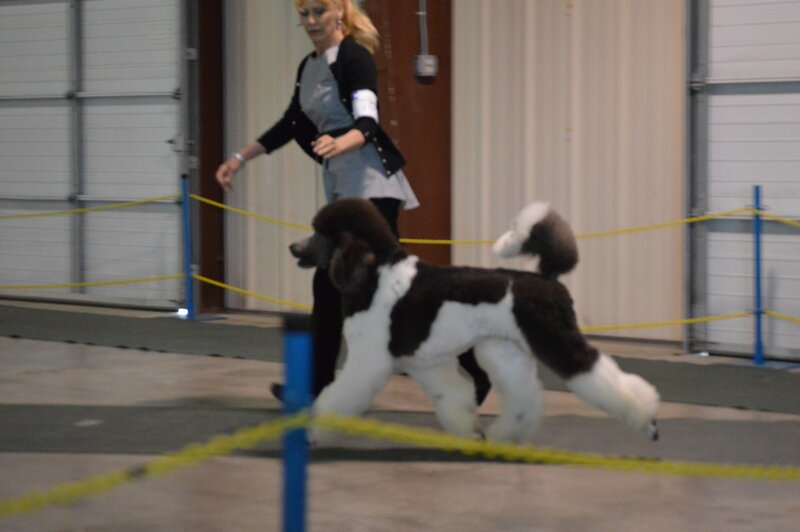 Known to many as Mr. Show Dog and he is a moving machine. 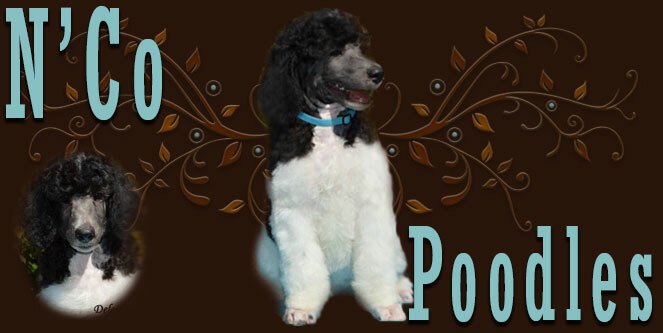 Not only does he have the LOOK. 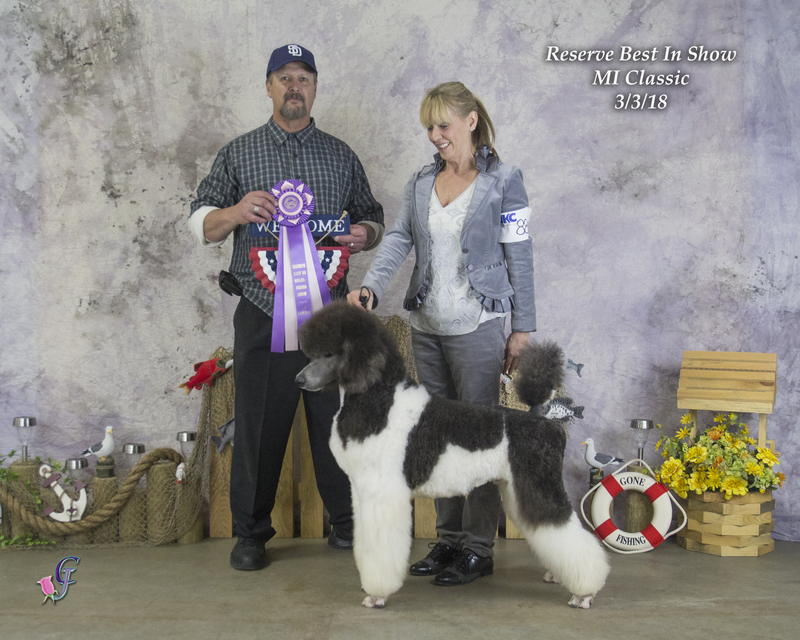 He also excels in performance events in earning titles in Dock Diving and Lure Coursing. 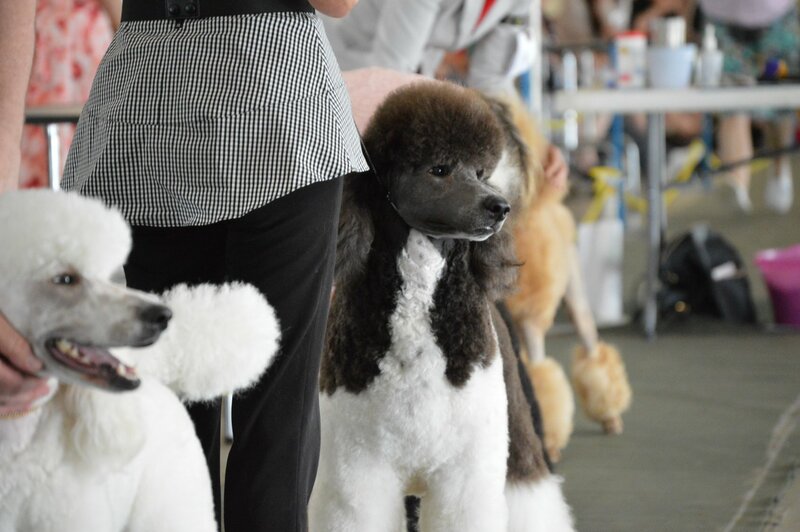 We look forward to the future with Quicky.